A great benefit about many herbal remedies is their lack of serious side effects. Herbal products made from plants are some of the most familiar, readily available and easy to use alternative remedies for infection. Herbs have been used for thousands of years by humans not only for cooking, but also to help the body heal. Today a wide range of herbal remedies can be found in health food stores, in natural doctor’s offices and even in your backyard garden. Even conventional medicine recognizes the benefits of herbal medicine. In fact, the starting point for many new pharmaceutical drugs begins with a plant extract found in nature. Several infection-fighting herbs have been the focus of scientific studies that confirm their benefits and effectiveness against infections. Garlic is one good example. This well-known kitchen herb has been used for infections for at least 5,000 years and has been the subject of over 2,000 studies. Olive Leaf was used in ancient Egypt for preservation and in the 1800’s it was used with success against malaria. Other examples of herbs with infection-fighting or immune-supporting benefits are Grapefruit Seed Extract (GSE), Goldenseal and Turmeric. One of the best things about many herbal remedies is their lack of serious side effects. While herbal remedies can be powerful and fast acting, they are also well balanced and evolutionarily “keyed” to the human body. The herbal products best suited for support with Staph and MRSA are some of the best studied and their effects are well known. In contrast, most antibiotics have a long list of serious side effects that can sometimes be more challenging than the infection itself. Herbal “alternative” remedies are actually not that alternative at all. Such remedies have been the standard of care for most of human history and for good reason. The benefits are numerous and the drawbacks are few. The key is to find the right products, use them properly, and know their limitations. For example, garlic and Olive Leaf extract can thin the blood and reduce clotting and are therefore best avoided if you are taking anticoagulant medications. Goldenseal has been shown to cause uterine contractions in animals and therefore should not be used during pregnancy. As with most natural medicinal products, quality is very important. Most spice bottles on the shelves of your grocery store lack the potency needed for serious infections like MRSA or Staph. In contrast, there are medicinal grade botanical extracts grown and blended under stringent quality standards for support with infections. While individual herbs are helpful, even greater benefits can be achieved with herbal or botanical blends. By combining more than one botanical extract together, you can get the benefits of many different herbs in a single product. For example, herbs that have antibacterial, immune support, detoxification and tissue regeneration properties can be combined into a single product for support on multiple levels. Combining more than one botanical substance together can also provide a much broader spectrum of activity against infections. Herbs with a wide range of activity against bacteria, viruses, fungi and even parasites can be combined for support with Staph and MRSA as well as the common secondary fungal, yeast and bacterial secondary infections. For the best results, experience must go into the making of a botanical blend. Expertise is needed when combining herbs because multiple herbs can interact in complex ways. Ingredient potency is also of great importance. The growing, harvesting and processing steps are also crucial to maintaining quality and potency. Even the packaging of the final product can make or break a quality formulation. For these reasons, it’s best to only rely on herbal blends endorsed by your natural doctor or with which you have prior positive experience. 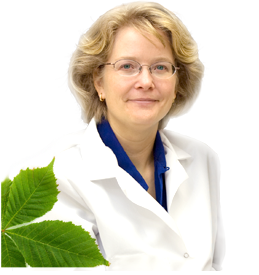 If you’d like to know Michelle Moore’s favorite source of medicinal strength herbal remedies that have a great track record against MRSA and Staph and other infections, please contact her here. As beneficial as herbs and herbal blends can be, alone they are usually not enough to stop a stubborn infection and keep it from recurring. As with any treatment, remedy or product, herbal remedies should be used as part of a complete program for getting rid of infection. If you’d like to find out more about Michelle’s program, you can click here. What are the best natural remedies? What are the 3 steps that stop infections?